There are 34 reviews of Calandre. I specifically wanted to say nice things about the current formulation, having purchased it a couple of weeks ago and not worn anything else since. I’ve enjoyed it as a palate cleanser - it has the appeal of a single clear, unaffected singing voice when there’s been too much bass and autotune. It has no sweetness, yet the florals come in and keep it from being too aloof. I’ve seen conflicting pyramids, though the flowers that come through on me after the opening rose are distinctly rose geranium, hyacinth, and a surprising and heartbreaking lilac. I once had an older bottle of Calandre, and it was warmer and deeper. Yet I didn’t like it better, for I appreciate the delicacy and sparkle of the new one. Creamy pink flowers on a dark green chypre, texture like varnished wood; a dusting of powder, a little pollen, a total absence of sweetness. A formal scent, it seems to demand sharp tailoring with an affinity for the scratchy worsteds of its day. Anyone who smelled their boss wearing this would be in no doubt she means business. 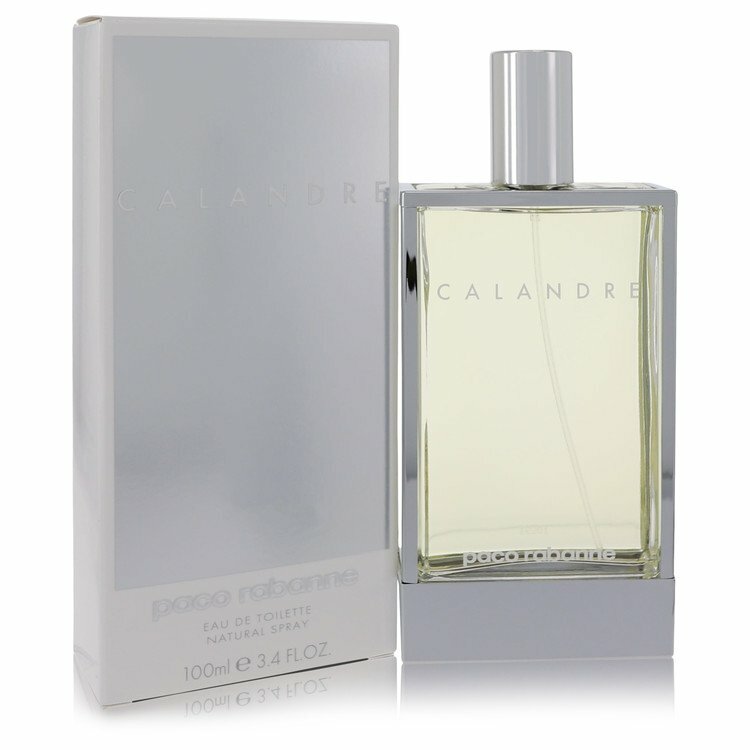 I am an aldehyde junkie and I've loved Calandre since 1970, when my mother first purchased it in Bloomingdale's. They used to give great samples in those days; tons of little vials and other goodies to try on. I unashamedly wear Calandre. 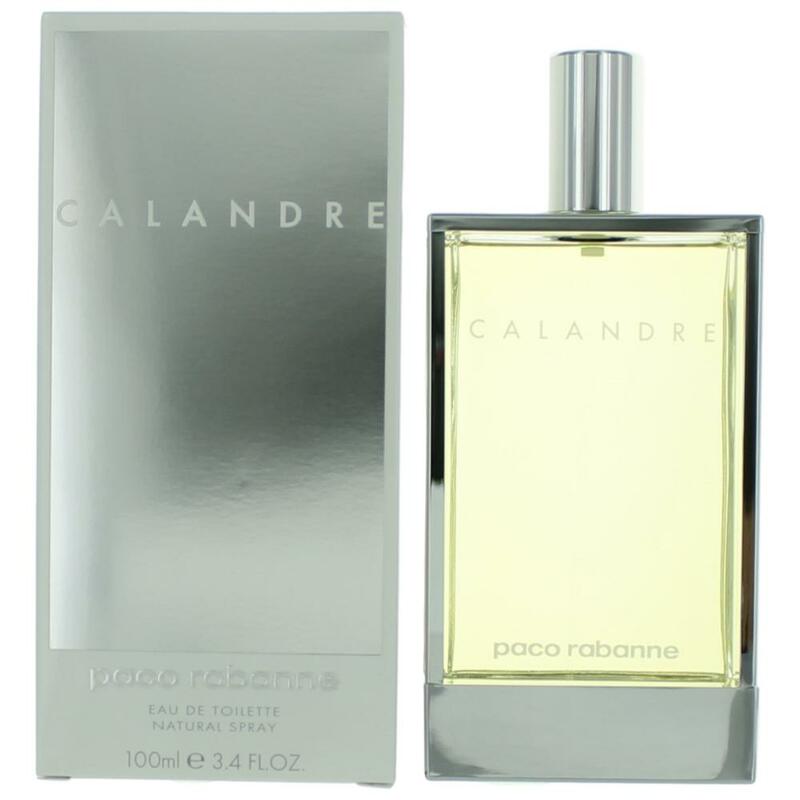 There are other aldehydes that I also wear a little more cautiously but I've found Calandre blends fabulously well with Paco Rabanne Pour Homme, which I've worn since he came out with it. Whereas certain aldehydic perfumes seem to be forever looking to the future regardless of when they were created, Calandre, in my opinion, is one of the unfortunates firmly rooted in the past. It’s like an exploding vintage powder compact at the start, the kind of perfume one imagines has sat on someone’s dressing table since the 1960s, used once in a while, aging rather than maturing. This is perhaps unfair, as there is actually quite a punchy, if somewhat syrupy, floral with grown up green accents behind that veil of powdery aldehydes which comes increasingly into focus. The rose is central, supported by fat, heady jasmine and lily of the valley. This strong floral bouquet is mediated by some soapiness in the background which injects air into the creation and a sharp and mossy, somewhat bitter green note which cuts the concentrated sweetness. But it’s difficult to shrug off the air of old make up which is Calandre’s opening statement. Roja Dove hails this "hot, metallic" scent as reflective of Rabanne's use of plastics, metals and synthetic materials in his Pop Art clothes designs. He also notes the use of a new isolate, called Evernyl, which occurs in oak moss and "when added to it, sublimates its naturalness." Turin follows suit, calling it an "aldehydic floral" and giving it five stars. He compared it favorably, in the long run, to the similar Rive Gauche, but does note its contemporary reviews, running from "a mess" to "brilliantly simple." Barbara Herman called it a "fresh floral," which reminded her of Courturier's rose chypre, Coriandre, and called it "heart-breaking in its fragile beauty." It reminded her of "the lovely sweat of a teenage girl." So what does it smell like? I get a woody floral, slightly metallic, a but unpleasant, and nothing to spend good money on, or God forbid, actually wear. Dab on Calandre and you get a quick aldehydic, bittersweet, green floral kick in the pants, soon bolstered by a whiff of fleshy indoles. The aldehydes subside to some degree over the next few minutes, as Calandre settles down into an indolic green jasmine and white flowers accord. At this stage I find Calandre rather ordinary in and old-fashioned “perfumey” manner. Happily Calandre’s floral blend is eventually joined by a honeyed, evocatively hay-like note that I read as green narcissus. Beneath this emerges an intriguing smoky/salty caramel component that quickly drags the composition out of the conventional white floral territory. In the course of hours Calandre pares itself down to the faintly smoky green narcissus over a soft and somewhat sweet musky base. Throughout its evolution Calandre projects well and offers plenty of sillage, with better than average lasting power. I like the surprising destination that it reaches after its nondescript start and consider it a useful scent for everyday wear – and unisex to boot! There are no member images of Calandre yet. Why not be the first?